"BERTUELLO, JOSEPH, PETTY OFFICER STEWARD"
BERTUELLO, Petty Officer Steward, JOSEPH, E/LX 20700. H.M.S. Kandahar. Royal Navy. 20th December 1941. Age 38. 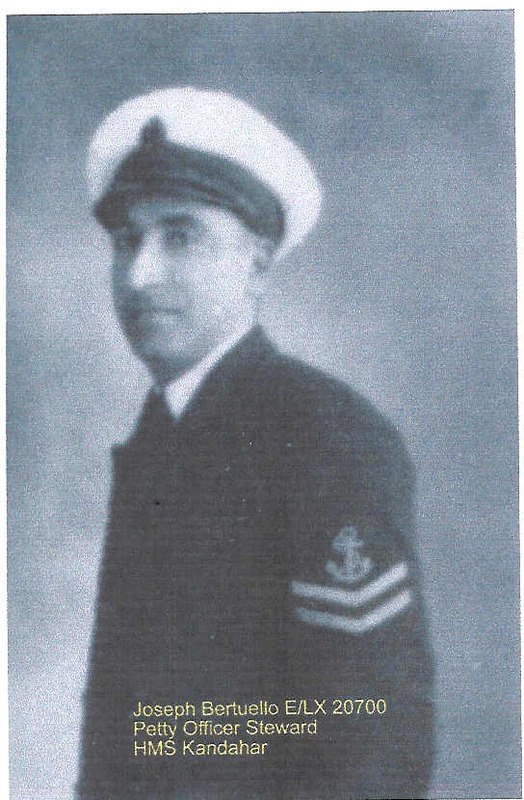 Husband of Lilian Bertuello, of Floriana, Malta, G.C. Plymouth Naval Memorial, Panel 55, Column 3.